‘Pests’ can include anything from annoying ants and cockroaches to rodents or even destructive termites. Living under the same roof as these common pests will have negative effects. It will impact your overall health and also cause significant damage to your home. Pest inspections and ongoing pest management are an important part of maintaining quality home living and will help improve your health. Before proper treatment can begin, there are steps you can take to assist in this process. It is important to know what draws these pests into your home, and steps to help manage them. Kitchens are infamous trouble spots. If you often find your home infested with ants or cockroaches, it is important to make sure food is kept out of their reach. Your kitchen stove, oven and benches should be cleaned after use. Transferring food to sealed storage containers is also a great pest management tool. Cupboards and shelves should also be wiped regularly. This will help cut off the food supply for these pests. Cockroaches specifically love damp, wet places and are often found near toilets and under sinks. Make sure you fix leaking taps and keep your home environment as clean as possible, as these creatures like to feed on scraps. Seal all cracks and crevices around your home to reduce their shelter and access points. Pests can be more destructive than just a common nuisance. Termites, are a great example of how destructive pests can be (and there are over 300 species in Australia). These wood borers can cause significant damage to your home. If termite damage is found in your home, don’t take things into your own hands. This will only make the problem worse. Termite infestations will always require a licensed termite exterminator. They will know how to thoroughly identify where these pests are causing damage in your home, and the appropriate measures to rid your home of these pests. 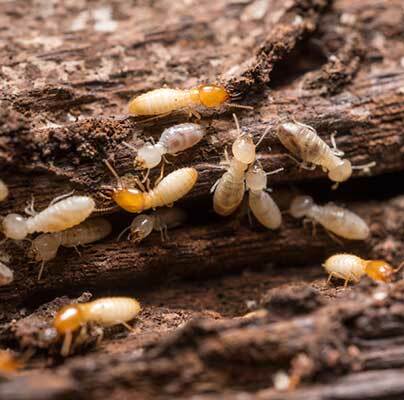 Ensuring you have regular inspections on all accessible timber and potential termite entry points is an integral part to managing termites, your home should be checked at least once every 12 months by a licensed Pest control technician. Short-term methods such as ensuring your home is regularly cleaned and clutter free may prevent pests from multiplying in your home before aid arrives. However hiring a licensed Pest Control specialist, (“Hitman” for short) to examine your home is important for all prospective and current homeowners. Being aware of the past and present pest infestations in your home will make the process easier. It will allow you to decide on whether to proceed with the purchase of a new property. It will also help in deciding how to tackle any identified problems before they become too difficult to rectify. Protect the health of you and your family and add to the value of your home by performing pest inspections. Having regular pest control inspections prior to purchasing a new home and also after you move in will help protect your home and health. If you haven’t already done so, it’s never too late to consult a specialist. Hitman Pest Control offer Professional Pest Control services in most residential areas throughout Brisbane, the Gold Coast and the Sunshine Coast. We even specialise in environmentally friendly pest exterminating solutions. Don’t let pests lay claim to your property; Hire a Hitman Today!